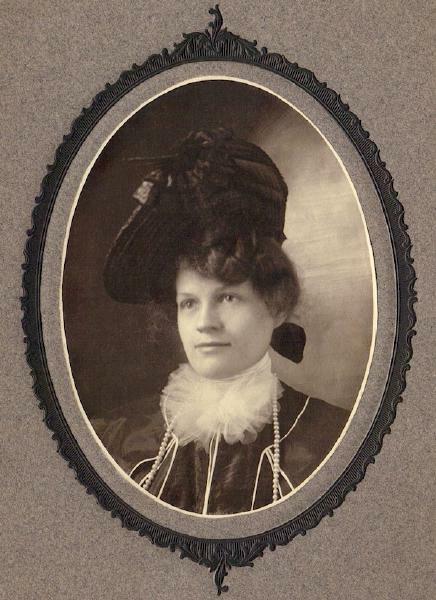 Mary Magdelena Hokamp was born on 4 July 1880 in Eggerstville, Erie County, New York. She married Charles Henry Weiler, son of Gottlieb Weiler and Amelia Hyer, circa 1905 in Buffalo, Erie County, New York. Charles and Mary Weiler and children posed for a snapshot, about 1911. Charles Henry Weiler and Mary Magdelena Hokamp appeared in the New York state census of 1 June 1915 in Buffalo, Erie County, New York, at 316 Northampton Street. Other members of the household included Dorothy Jane Weiler, Ruth Helen Weiler and Norman Charles Weiler. Charles Henry Weiler and Mary Magdelena Hokamp appeared in the US federal census of 1 January 1920 in Buffalo, Erie County, New York, at 391 Hickory Street. Other members of the household included Raymond Francis Weiler, Dorothy Jane Weiler, Ruth Helen Weiler, Norman Charles Weiler and Mary Schurman. The following appeared on 17 April 1927 in the Buffalo Courier-Express: Mr. and Mrs. Charles H. Weiler of Winter street announce the engagement of their daughter, Dorothy Jane, to Earl F. Heinike of Erie, Pa., formerly of Buffalo, the wedding to take place June 1st. Mary Magdelena Hokamp appeared in the US federal census of 1 April 1930 in Buffalo, New York. Other members of the household included Ruth Helen Weiler and Norman Charles Weiler. Charles Henry Weiler became a widower at her death. Mary Magdelena Hokamp died on 25 March 1938 at age 57 in Buffalo, New York. She was interred at United German & French Cemetery, Cheektowaga, Erie County, New York. The following appeared on 27 March 1938 in the Buffalo Courier-Express: [Died] Mary Magdalene Weiler, in this city, March 25, 1938, beloved wife of Charles H; mother of Mrs. Earl F. Heinike, Ruth H., and Norman C. Weiler and stepmother of Raymond F. Weiler. Funeral from the family residence, 202 Kingsley Street, Monday morning at 8:30 and from the Church of Mary Magdalene at 9 o'clock. Friends invited.